The Seagulls are three points above the relegation zone with four games left. Sports Mole provides team news, predicted lineups and a full preview of Tuesday's Premier League meeting between Tottenham and Brighton & Hove Albion. Brighton travel to Tottenham on Tuesday in their fight against the drop. The Seagulls sit three points above the Premier League's relegation zone. Wolves sit eighth in the Premier League. The Seagulls have lost five consecutive matches the first time in 12 years. The Seagulls are only two points from the relegation zone after failing to score in four successive league defeats. Albion are only two points above the drop zone. Neil Warnock: "We're alive and kicking"
The winger was sent off for an awful foul on Adam Smith in the 5-0 home defeat to Bournemouth. The Cherries have only won three of their last 15 Premier League games. The Seagulls will be aiming to avoid a third straight league defeat. The Brighton manager helped defeat Manchester City as a Tottenham player in the 1981 FA Cup final. Chris Hughton's Brighton will face Raheem Sterling during Saturday's FA Cup semi-final against Manchester City. Relive Sports Mole's live coverage as Chelsea boost their hopes of a top-four spot in the Premier League with a 3-0 win over Brighton on Wednesday evening. Brighton have not beaten Chelsea since 1933. Brighton remain five points above fellow strugglers Cardiff. Albion remain five points above the bottom three following Cardiff's loss. The Denmark midfielder claimed the only goal at Brighton on Saturday. Pierre-Emile Hojbjerg scored Saints' second-half winner. Albion welcome Saints to the Amex Stadium on Saturday. The Seagulls face Manchester City in the semi-finals of the FA Cup at Wembley on April 6. A number of England players were subject to racist chanting during England's Euro 2020 qualifier in Montenegro. 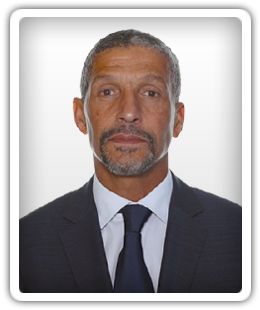 Chris Hughton's men hit back from two goals down at Millwall to win on penalties. The Lions were two goals ahead with two minutes remaining. The Seagulls have secured back-to-back Premier League victories. Millwall are scrapping for points at the wrong end of the Championship table. Sports Mole provides the team news, predicted lineups and a full preview of Sunday's FA Cup quarter-final clash between Millwall and Brighton. Crystal Palace were beaten at home by their traditional rivals on Saturday. Who will hold their nerve in the title race and fight for survival? Palace are aiming to push for a top-10 finish.